“When we came to market last year, people weren’t buying the density yet,” said Sean Holzknecht, the co-founder and President of Colovore.” This year, everyone’s base requirement is 10kW at a minimum. It’s really flipped.”. 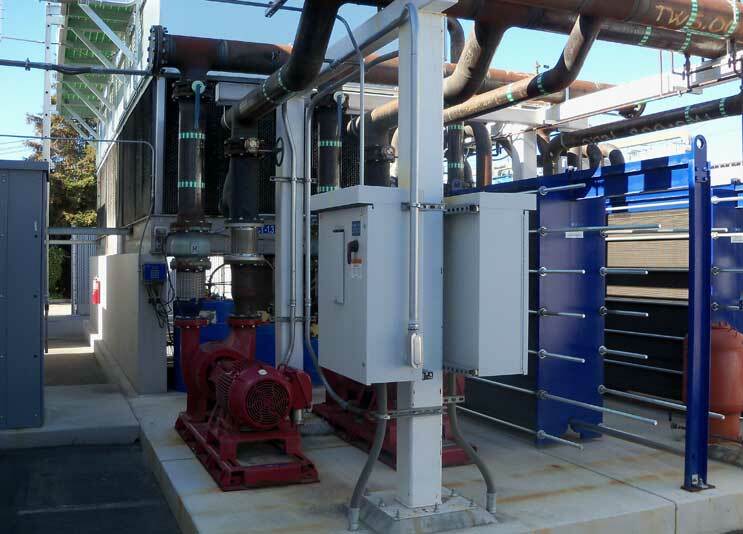 Colovore is not alone in adopting rear-door heat exchangers at scale. LinkedIn is implementing a new data center design featuring rear-door cooling units for its new facility near Portland, Oregon. The company said its next-generation design will use “cabinet-level heat rejection” that will double the cabinet densities from its previous data center builds. The new data center will be hosted by Infomart, where LinkedIn has reportedly leased 8 megawatts of space. “The reality is that everyone says they want 200 to 250 watts per square foot, but almost nobody’s using it,” said Jeff Burges, President and founder of colocation specialist DataSite. “There will be some high density users, but also a lot of low density users.” . The typical enterprise data center user is probably running densities of 3kW to 5kW per rack, according to Shawn Conaway, Director of Cloud Services at FIS. “I see going on more often is pockets of high-density workloads, especially in internal private cloud, where you can see 10 to 15 kW,” said Conaway. “I think we’ll see more of this.”. “We are pushing 50kW a rack,” said Richard Donaldson, the Director of Infrastructure Management and operations at eBay. “We’re on our fifth generation server design, which means you have to have a data center that can support that. The technologies are shifting. We’re driving towards density because we’re driving toward the lowest cost.”. “I would argue that given where the technology is headed, we’re going to be seeing more density,” said Donaldson. “We’re now seeing densities shift from 1kW per rack to 5 kW a rack. That trend is coming. 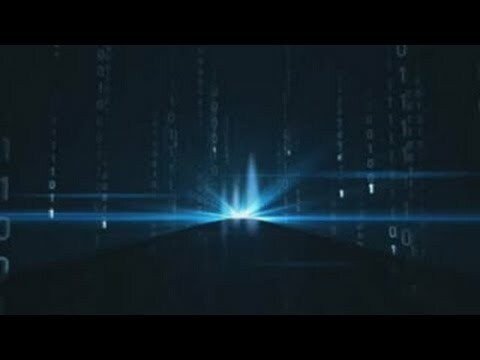 We’re already seeing it in Equinix and Digital Realty.”. “In our portfolio, we see growing gap between our 3kW (per cabinet) customers and our 15kW customers,” said Scott Davis, Executive Vice President for Data Center Operations at DuPont Fabros. “In our latest product we have the ability to increase the density up to about 300 watts per square foot.”. 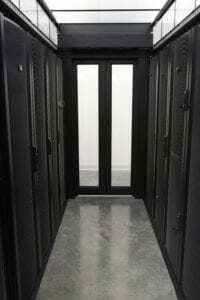 “If you’re used to your data center being a meat locker, it’s odd to be in a new experience,” said Holzknecht. “In our facility, there’s no differential between the hot and cold aisle.”. “It’s an incredibly efficient system, and you can turn it on one cabinet at a time,” said Holzknecht. “Because we are so dense, we can put the same amount of gear in fewer cabinets. It’s less expensive to build densely. It’s cheaper for us as a provider as well. Building denser is always less expensive.”. “The revenue per cabinet is so much more than the additional cost to build per cabinet,” said Peter Harrison, the CTO of Colovore and a co-founder along with Holzknecht and CFO Ben Coughlin. “I think we’ll start seeing more colo providers using this technology. We’re definitely early adopters. The acceptance will be accelerating.”. In the crowded Silicon Valley market, designing for density turned out to be a differentiator for Colovore. “You’ve got a lot of good-looking data centers that can only handle a little density,” said Holzknecht. “Everyone’s migrating out of these telcos. A lot of their facilities are 20 years old. A lot of them are realizing they have to retrofit, and they don’t have the appetite for the investment.”. 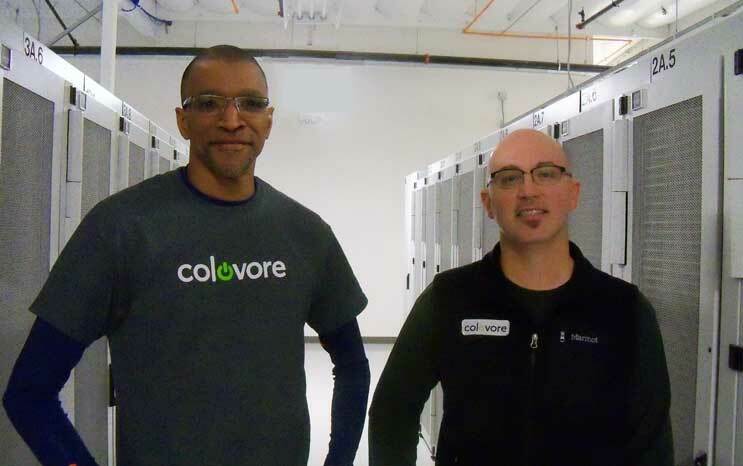 Colovore’s facility was owned by Les Pelio, a veteran developer of data center properties in Silicon Valley, who initially positioned it as a “container colo” center to house data center modules. “The big thing (Pelio) did is that there’s 9 megawatts of power already here,” said Holzknecht. “We can build the next three phases at once if the demand calls for it. We were fortunate to find this place and work with an experienced data center developer.”. “We’ve been friends with the (Digital Realty) management team forever,” said Holzknecht. “We’re kind of a petri dish for a company the size of Digital Realty. These guys are in every market we want to go into, so we may want to partner with them. They have properties that are not active facilities, and that’s one of the things we’re interested in. But first we’ve got to execute here in Santa Clara.”. “It’s a generational thing in a lot of ways,” said Holzknecht. “Our selling cycle is about engineers. We’re seeing a lot of 200KW to 1 MW deals, and internal infrastructure is often the requirement. At some of these companies, everything is virtualized and cloudified. Instead of having lazy servers being underutilized, they have grids.” . “A lot of them grew up with PC gaming and water cooling right in their living room,” said Harrison. “A lot of the younger companies are buying new equipment, and new equipment needs density. (Density is) a big deal for many of these customers.”. I write about the places where the Internet lives, telling the story of data centers and the people who build them. 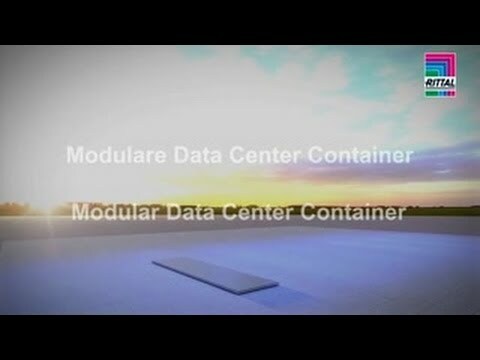 I founded Data Center Knowledge, the data center industry´s leading news site. 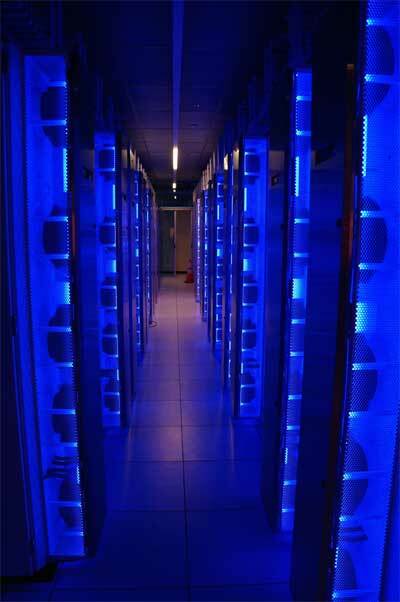 Now I´m exploring the future of cloud computing at Data Center Frontier.